My family and friends are helping me get the new gardening year started off right! Take a look at some of the wonderful gifts I’ve recently received…. That just about covers my garden experiences! ROSE JAM SHOWER GEL: “Sweet, tart and wonderfully fresh, this indulgent blend of rose, vanilla and lemon leaves you smelling of a rose garden and nourishing argan oil gets skin gorgeously soft.” Don’t you love the sound of that? HELPING HANDS HAND CREAM: “A nurturing almond, cocoa butter and chamomile hand cream to give back what life has taken out.” Sounds good enough to eat. 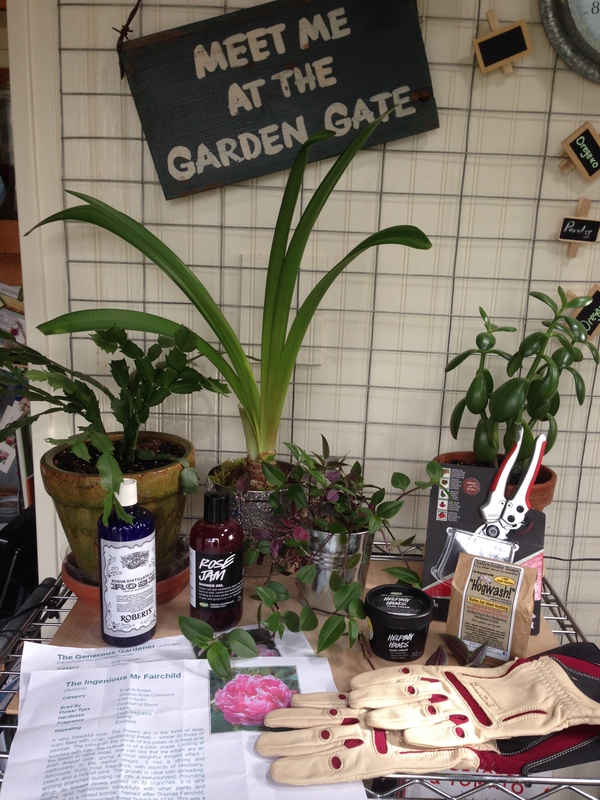 GIFT CERTIFICATES FOR 2 DAVID AUSTIN ROSES: The Generous Gardener and The Ingenious Mr. Fairchild. I am over the moon about these. BARNEL PRUNERS: Wendy Tilley highly recommends. 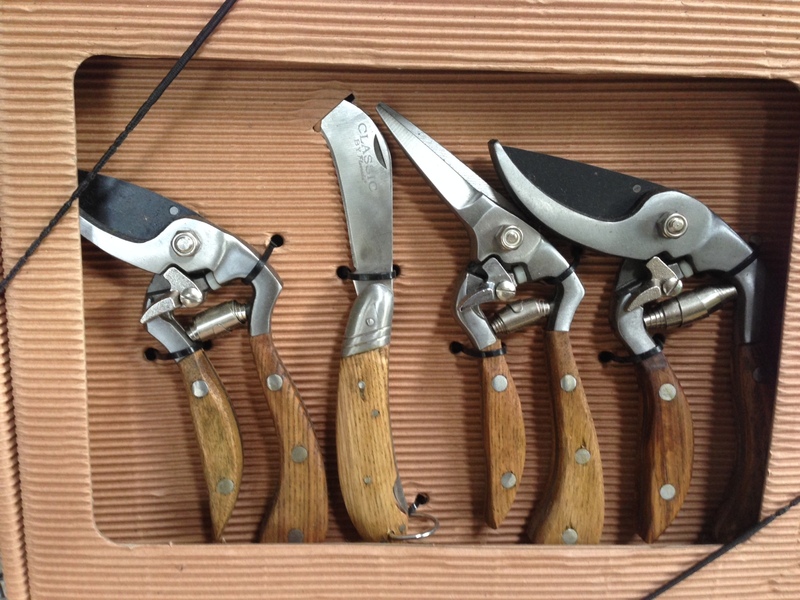 CLASSIC HAND TOOL SET: from Flexrake …. beautiful! 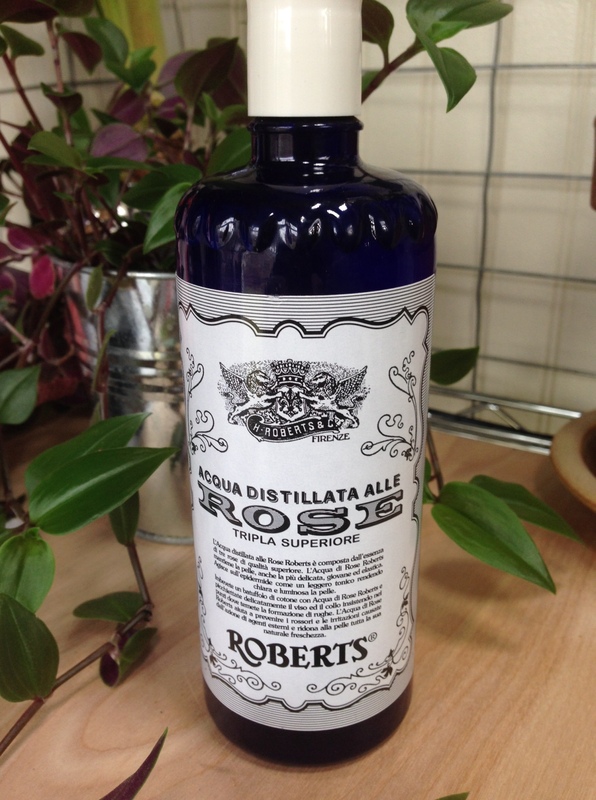 ROBERTS DISTILLATA ALLE: A rose tonic that the Florentine women of 1867 just wouldn’t be without— need I say more! Spring, bring it! I am armed and ready! It certainly looks like someone had a Merry Christmas! I’m hoping for spring so that you can get outside and play with your new toys. Somebody was a very good girl. 🙂 You are set for the coming year! So true. Curtiss Ann you are in our prayers as you begin 2014. So proud of you! those things are really going to enhance your gardening, are you thinking of ideas in your head now? I know I have been mulling over a bunch of ideas i want to try in the spring. already have a list of materials I will need, lol, basically know the cost too, trying to figure out for a small rose bed do i want to square it off, round it off or layer it? it willbe 12 feet long by 6 feet wide. have some other plans as well. are you planning on moving plants or creating a new look? hope you take lots of pictures. I know I will be taking pictures and sharing them too. oh yea is spring here yet? I have nominated you for the Sunshine Award and part of the rules are to leave a comment on your blog letting you know. Thanks Susan! Happy New Year to you! They really know you well! You received some very nice and useful gifts. Always can use more rose, no? Wow! You must have been very good last year to have received such goodies! 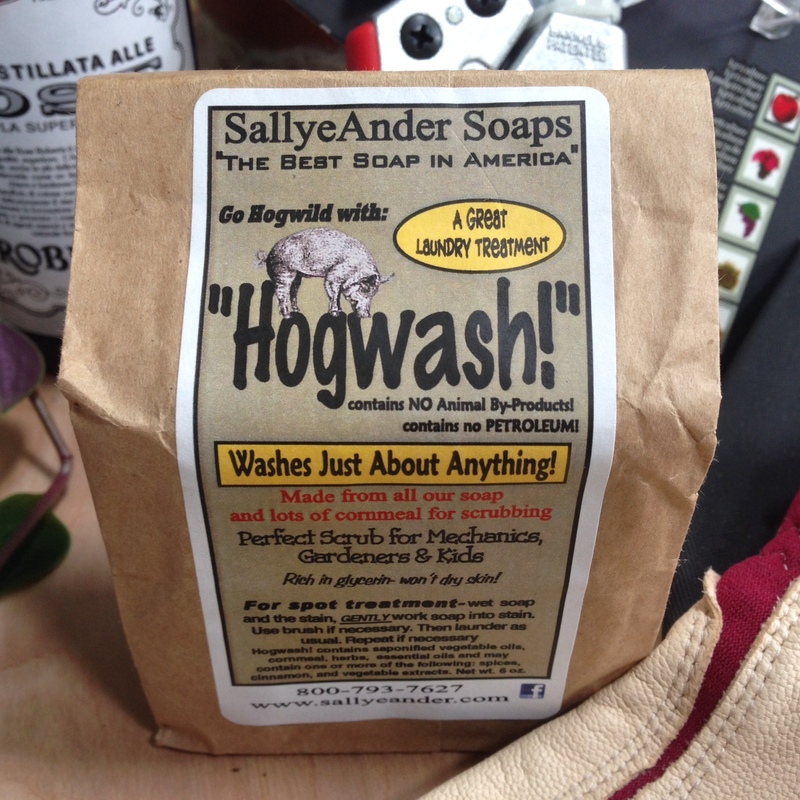 I’m going to have to try the hogwash soap……. My son found Hog Wash at a local garden center and it comes highly recommended! Even removes pollen they say! Happy New Year! Everything looks great! Especially the gift certificates for David Austin Roses! This year I have my heart set on ordering some more and I was thinking the Alnwick Rose and Sharifa Asma. Do you have these? If so what has been your experience with them? I do not have the David Austin roses you mention. But the pictures in the catalog are beautiful! Best of luck and keep me posted on how they do. You go girl! Spring is even closer than you think and you are definitely ready!!! Your trip is so great to watch!!!! Have fun. You need a blog too!! I’d love to hear how the Generous Gardener does for you. . . . The write-ups on it tempt me every time! I will keep you posted. It does look so lovely! !